Some clearer pictures of the new "hotness"
"We're not in Kansas now, Toto"
Purely evaluating them as miniatures in their own right, I think they're quite nice. As part of Warhammer i'm less sure. 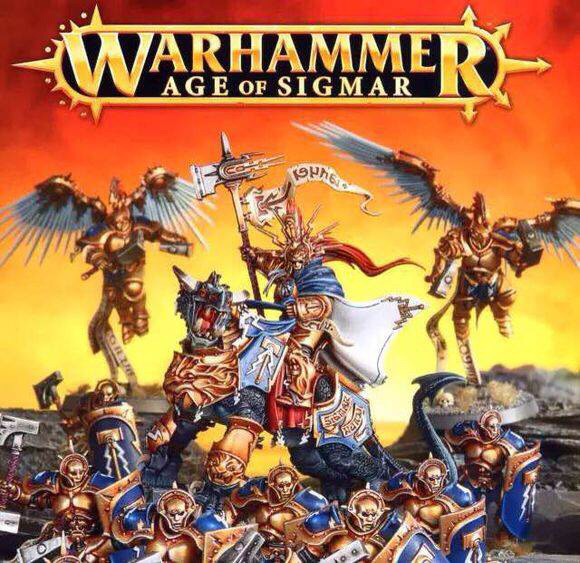 If they're a kind of stand alone faction, or add ons for Empire (sort of like to Empire what Demons are to Warriors of Chaos), then OK. If they're the harbinger of a whole new aesthetic for every Warhammer range of figures then that's pretty overwhelming. 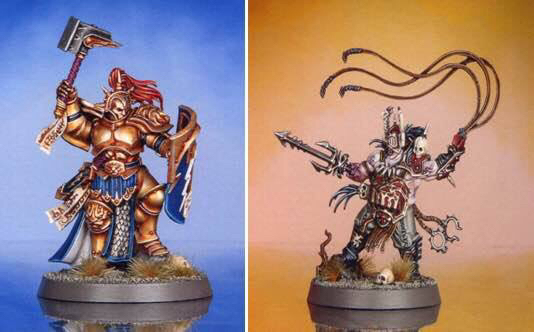 Can't help but see Legio Custodes rushing into Warhammer.. Chaos items are impressive but the Sigmarines are underwhelming for me personally. Hope the more 'core' units are enticing. Think I'm still coming to terms that Warhammer world has gone. Guess I am skeptical after witnessing so many "reboots" that apparently "understand" what made the original material great. I like the look of the figures, but i have been playing in the old world for nearly 25 years, it will be hard to give it up. Whilst i am prepared to give Age of Sigmar a fair shake i am also happy to keep playing Warhammer 8th edition if i dont like AOS. What ever happens i know i have enough figures to keep my hobby humming for a few years yet, Without having to invest in the new models. Looks like Belthasar Gelt sure got around. There is certainly a lot of... warhammer(s). Just in case you needed reminding of the name of the game. Probably the most reasonable assessment of what we currently know. As I've said I intend to judge it on its own merits and to date it is not looking promising. I'm completely at a loss to explain all the fanboi-ism going down other than that people just can't bear the thought of WHFB being dead.